Simultaneously use up to six Cricut cartridges in the Jukebox base, connect it to any Cricut machine, and select your cartridge with just the push of a button! Keep Cricut cartridges all at your fingertips! Link up to three Jukebox core units at a time, allowing you to use 18 cartridges with ease. Stack and connect Jukebox tops to access your entire cartridge collection! 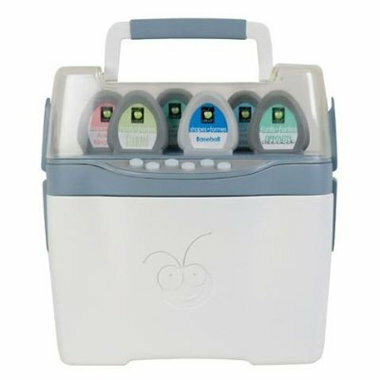 Portable cartridge storage and carry case. Convenient and easy to use. Never swap Cricut cartridges again! Manufactured by Provo Craft. Do you have a Provo Craft - Cricut Jukebox? Tell us what you like (or dislike) about it!